Communication: Energy Transitions and Social Change. Towards a theoretical integration. After a Master degree in Sociology and Economy, Nadjma Ahamada joined the Innovation and Technology Division of GDF SUEZ in 2010 as a sociologist. Thus her main function is to support the operational branches of GDF SUEZ to meet their customers’ expectations (domestic, local communities and industries). These diverse requests are related to energy practices, fuel poverty or social impact assessment and she also deals with Smart buildings and cities. Aurélien ALFARÉ is engineer for energy efficiency of buildings, MSc « History, Philosophy and Didactics of Sciences », University Lyon 1, 2014. Dr. Harris Ali is a Full Professor in the Faculty of Environmental Studies and graduate teaching faculty member in the Department of Disaster and Emergency Management as well as the Department of Sociology. He researches issues related to environmental management, disasters and environmental health. He has published on various infectious disease outbreaks and technological disasters such as: tuberculosis amongst the homeless in Toronto, E. coli 0157:H7 in Walkerton, Ontario, and international outbreaks of avian influenza, as well as toxic contamination events such as landfill leachate infiltration of water supplies and the 1997 Plastimet Recycling Fire in Hamilton, Ontario. He has published in international journals such as: Social Science and Medicine, Social Problems, and Antipode. Communication : State Suppression of Environmentalism in the Post-911 Era of Peak Oil : The Canadian Case. Sylvère Angot is PhD candidate in sociology at LATTS (University Paris East). He works on the professional consequences of the reform (2007-2013) of the decentralized services of the state, focusing in particular on public policies for energy efficiency. Communication : The improvement of energy performance of individual housing. The challenge of coordinating the existing actions. Ph.D candidate in Sociology. MA in Social Sciences. Master degree in Sustainable Development. “The ‘efficiency strategy’ confronted with the rebound effect. Is a change of regime possible?”, Quaderni di Sociologia 66, (in press). “Efficiency, rebound effect and repertoires of ecological actions”, Culture della Sostenibilità, (in press). Loïc Aubree is Doctor in Geography, Director of CRESGE, the Research team of Université Catholique de Lille. He has conducted a number of works about housing needs and local housing policies. Aubrée L., Bonduelle A., L’équité au cœur des politiques climatiques : l’exemple des négociations relatives au climat et de la recherche de solutions à la crise énergétique, Revue Développement Durable et territoire, Vol2, n°1, Facteur 4, mars 2011. Aubrée L., Bonduelle A., Métivier S., Lille bas Carbone, Recherche conduite dans le cadre du programme du MEDDE « Repenser la ville dans une société post-carbone », 2011. Alexandru Balasescu is an anthropologist (Ph.D at the University of California, Irvine) currently living and working in Vancouver. Certified as LEED Associate Professional (Leadership in Energy and Environmental Design), he acts as energy consultant for LEED projects, and has an independent practice of research, being interested in urbanism, the body, energy systems, and their interaction. Author of Paris Chic, Tehran Thrills. Aesthetic Bodies, Political Subjects (ZetaBooks: 2007), he published extensively in international journals on themes of development, urbanism, and sustainability. In the last three years he collaborated in his research mainly with urbanists and contemporary artists. PhD candidate in sociology and political science at laboratory Lettres, langages et Société of the Université de Savoie, his research focus on citizen’s initiatives bind to sustainable development and the potential of their evaluation, with the point of view of Risk sociology. He worked on the implication of the citizens in relation to the sustainable development and on the network of organic farmers on the department of Savoie. His first communication on the recovery by ordinary actor of environmental questions will be published in the periodical Rives méditerranéennes. Communication : A citizen’s energy transition: laboratory of experiment for local public policies? Hervé BARRY is a sociologist. He leads works in the domains of the housing environment, the social policies and the domestic dynamics of consumption of the energy. Publication : Amélioration de la Performance Énergétique des Bâtiments Publics : analyse de la relation contractuelle et de travail liant la Ville de Lille et Dalkia, Région Nord-Pas-de-Calais-ADEME, 2012. Psychologist of the environment, Manager of SC Psy ECCA, Teacher at ENSAPBx, Associate Researcher at the Laboratory of GRECAU ENSAPBx. • Conduct researches to improve condominiums management. Anne-Cécile Baud, graduated in sociology, joined the VERI research center (Veolia Research and Innovation) in 2011 where the humanities are involved with research projects in the area of waste, energy and water. In particular, the studies focus on the appropriation of innovations in professional or residential contexts or more broadly by different stakeholders involved. Furthermore, the research is working on sorting practices, the consumption of water and energy etc. In the field of energy, “smart grids” is a question which is particularly investigated. Communication : Sociological study of the acceptance of Demand Response in office buildings. In 2011, Amira BENTAHAR joined the CRIGEN, the GDF SUEZ R&D center dedicated to gas and new energy sources, as an research engineer specialized on the energy performance of buildings. She works on energy prospective models of the French building stock. Previously, she worked on issues related to the introduction of the 2012 French thermal regulation of new buildings (“RT 2012”). Anne-Lise Bénard is a demographer at the Grenoble region urban planning agency. After one year in a research laboratory for the integration of disabled people, she is currently working on issues of social and societal observation (residential strategies, energy vulnerability, health …). Ilaria Beretta is Assistant Professor in Economic Policy at the Catholic University (Milan, Italy). She has a Ph. D. in Environmental Sociology and two Master Degrees. Nowadays, she is engaged, above all, in managing and coordinating educational and research activities at the Catholic University Postgraduate School of Environment (ASA). Actual main areas of research interests are: environmental and urban sustainability politics, local environmental conflicts, communication of sustainability. Communication : Fuel poverty: The contribution sociology might play in facing the problem. Qualified teacher of Civil Engineering – Building energy management, I am currently a PhD student at the French institute for research on urban sciences and techniques. Trained as civil engineer specialized in building energy management, my current researches focus on modeling of heat transfers at the city block scale with an operational and interdisciplinary dimension. Raphaële Bertho is a photographer and an Associate Professor in Art History at the IUT Bordeaux Montaigne. Her PhD was entitled « Paysages sur commandes : les missions photographiques dans les années 1980 et 1990 en France et en Europe » (2010). She is the author of La Mission photographique de la DATAR, un laboratoire du territoire contemporain (Paris, Documentation française, 164 p.), published in 2013. In 2014, she coordinated a research program in collaboration with the French Ministery of Ecology and Sustainable Development, « Mon paysage au quotidien ». Emilie Blosseville, Director of Studies, Advanced Studies in Social Sciences in Sociology degree (Paris V René Descartes in La Sorbonne), 16 years of experience in qualitative studies. Pascale-L. Blyth is a Research Fellow at the Centre for Energy Technologies at Aarhus University in Denmark. A graduate in energy planning from Aalborg University, her interests include automobility, energy ethics, women and energy, technology and society. Olivier Bonin is a geographer and has a PhD in mathematics. His work focuses on urban modeling and mapping. A former student of the school of IGN and the Ecole des Ponts, he is currently a researcher at the Laboratoire Ville Mobilité Transport (UMR T 9403). Bonin O, Hubert J-P, (2014), « Modélisation morphogénétique de moyen terme des villes : une schématisation du modèle théorique de Ritchot et Desmarais dans le cadre du modèle standard de l’économie urbaine », Revue d’Économie Régionale et Urbaine, n°3. Simon Borel holds a Ph.D. in Sociology from the Paris Ouest Nanterre La Défense University. He works on the networks ideology implications from the perspective of democracy. His research interests include the changes at work in the era of the networked society : digital social links, identity and dynamic quests of democratization online recognition, collaborative and contributory Internet economy. In the context of the CRIGEN, where he has worked since June 2014, he works on several issues like the management of personal data and on socio-economic changes taking place in the context of the energy transition. Communication : The users’ involvement into energy transition: an application of the empowerment concept in the energy field. Sofiane Boudhiba is demography Professor in the Human and Social Sciences Faculty of Tunis, Tunisia. Gorée, porte sans retour. La mortalité des captifs à bord des navires négriers, L’Harmattan, Paris, 2014. Communication : Bio fuel in the north, famine in the south: a paradox of energetical transition? Jérémy Bouillet is a PhD candidate in political science, attached to PACTE laboratory in Grenoble and Energy, Technology and Society Research Group (EDF R&D). His thesis focuses on the development and dissemination of social norms for energy efficiency and conservation. He works in the research program on the formation political judgment (Cogni). He recently published “Parler politique sur Internet. Les questions d’énergie et d’environnement dans la campagne présidentielle” with Mathieu Brugidou and Michèle Moine (2012, La campagne présidentielle, dir. J. Gerstlé, R. Magni Berton) and “Ordinary citizens in front of energy narratives: How public issues are integrated” (The energy transition: real issues, false starts?, dir. Lejoux P., N. Ortar). Communication : Public opinion or opinion of publics: how and who gets involved into energy related issues? 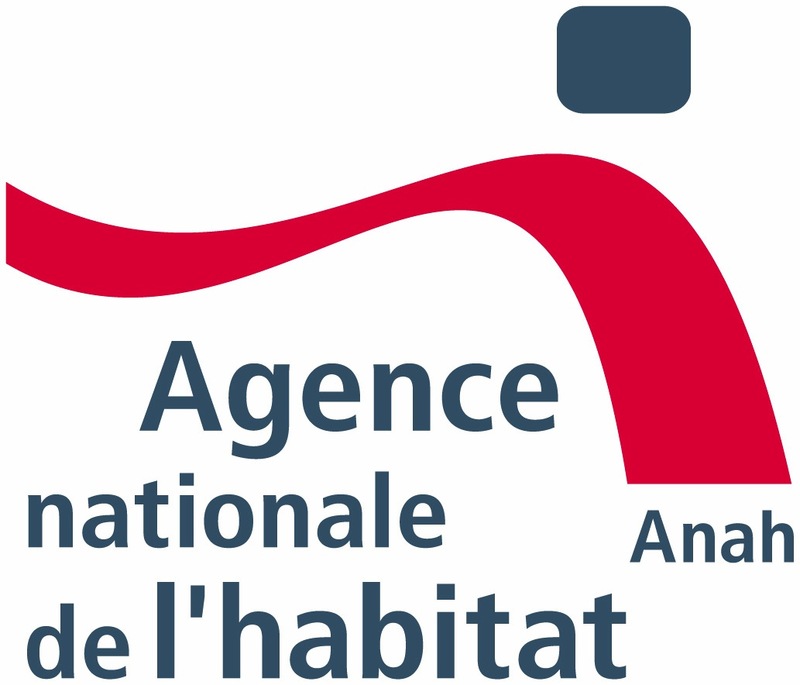 Emmanuel Boulanger is director of habitat studies for the Grenoble region urban planning agency. After a first experience in associations where he developed an observatory of inadequate and unhealthy housing, he accompanies Isere’s territories in habitat policies and social cohesion. He has developed an expertise on the analysis of lifestyles and urban phenomena of socio-spatial exclusion and fragmentation. He is responsible of the studies for sustainable development, mobility and society since 2010. Pascale Brassier is project leader building monitoring – pole Construction Technology at NOBATEK. Miles Ten Brinke is in the second year of his PhD Business & Management at the University of Manchester Institute of Innovation Research. He studies stability and change in the British electricity grid 1990-2015, and works part time to help develop environmental energy policy at the national energy regulator. Gaëtan Brisepierre is an independent sociologist. In 2011, he defended his PhD dissertation at the University of Paris Descartes-Sorbonne on the economy of energy in collective habitats, directed by the anthropologist Dominique Desjeux and in partnership with GDF Suez. In 2012, he created the research office GBS with which he performs studies and does research, conferences, and gives expert advice to private and public organizations. As a specialist on questions of energy, he has performed investigations on a number of subjects such as: household practices for energy conservation, the renovation of jointly-owned properties, the use of low-energy consumption buildings, the impact of smart meters, the maintenance of collective heating, and the management of energy claims. He has published numerous articles and reports, as well as a synthesis available on his blog. Communication 1 : Social and organizationnal conditions of energy in vivo performance in new buildings. Communication 2 : Adopting of the follow-up energy consumption and its efficiency conditions on inhabitants practices . Full Professor at the Urban Planning Institute of Grenoble, Nicolas Buclet is Head of PACTE laboratory since 2011, and formerly head of CREIDD laboratory at the University of Technology of Troyes from 2006 to 2010. From economy of conventions’ concepts, he contributes to a reflexion on the shift from a conventional regime unsustainable to another conventional regime more in phase with the aims of sustainability.Besides his works on economy of functionality (Product Service Systems), Nicolas Buclet is contributing to the raise of a new interdisciplinary field, territorial ecology, radical interdisciplinarity approach, aiming at reflecting on the socio-ecological trajectories of territories and to the question of the wealth of human communities, considered in a broad way. Communication : Four energy infra-urban coordination’s scenarii: cooperative, local authorities, Central Administration, big companies. Céline Burger prepares a PhD in urban planning. She tries to understand the interaction of public policy and sustainable development. Her PhD research topic focuses on renewable energy, particularly wind power, and how institution arrangements affect the linkage between knowledge, innovation and action in the sustainability area. She mobilizes these concepts to understand the attractiveness policies in intermediate cities. Burger C. (2013), “Les nouvelles formes de négociations du territoire, pour une approche durable ? Le cas de la financiarisation de l’éolien”. Urbia, 1 hors série, p.53-81. Burger C. Mancebo F. (2013), “Champagne and Metal Flowers : Who is Invited to the Wind Generation Party in France ?” In Michalena E. Hills J. M., Renewable Energy Governance (p. 217-232). Londres: Springer. Communication : Energy Transition in Rural Area: the Territorialization of Wind Farms Projects in Champagne-Ardenne Region. .
Roberto Cantoni is a sociologist and historian of technology at the LATTS laboratory, École des Ponts Paris Tech. Physicist by training, in 2014 he obtained his PhD in the history of technology from the University of Manchester, with a thesis on the interplay between oil exploration, diplomacy and security issues in France and Italy during the early Cold War. In 2014 he obtained the Levinson Prize by the Society for the History of Technology for his article on the NATO debate on Soviet pipelines in the early 1960s. Cantoni, R., and Veneer, L. (2014), “Underwater and Underground: Gatekeeping Oil Exploration during the Cold War” in P. Roberts and S. Turchetti (eds.) The Surveillance Imperative. Geosciences During the Cold War and Beyond. Basingstoke: Palgrave Macmillan, p. 45-67. Communication : Antagonising the ‘shale gas revolution’: anti-fracking movements in France and Poland. Cécile Caron, Graduate of the University Paris-Dauphine, has been working as social sciences researcher at EDF R&D since 2003, where she undertakes today qualitative researches on innovative devices in the field of energy. She captures the dynamics of appropriation and diffusion of these devices in the fields of fuel poverty, smarts grids and pricing through an understanding of the logics of action of the households and professionals. She belongs to the teaching team of the Executive master “Sociology of organizations and firms” at Science-Po Paris. Caron C. & Gaglio G., 2007, L’organisation à l’épreuve. Autour du temps, de la sociabilité, de la rationalité et du métier, Rennes, PUR. Caron C., Durand-Daubin M., (à paraître 2015), « Efficacité et justice des mesures de solidarité énergétique. Une régulation par les professionnels », in Cihuelo J., Grandclément C. et Jobert A. (dir), Énergie et transformations sociales. Enquêtes sur les interfaces énergétiques, Paris, Editions EDF R&D / Lavoisier. Marie-Haude Caraës is Director of the École supérieure des beaux-arts de Tours and Associate-Director of EPCC Graduate École supérieure des beaux-arts TALM (Tours, Angers, Le Mans) after have been in charge of the department of Research, expérimentation and publications at the Cité du design Saint Etienne. She has conducted several studies on energy issues: Reducing energy poverty, The information design in the context of smart grids, Emergency insulation, etc. She is currently working with artists Cédric Carles and Nathalie Talec on a research program on the theme of the paleo-energy. She also develop personal research, including Images de pensée (RMN, 2011) co-written with Nicole Marchand-Zanartu. Communication : Technology is the answer. But what was the question? Caron C. & Gaglio G., (2007), L’organisation à l’épreuve. Autour du temps, de la sociabilité, de la rationalité et du métier, Rennes, PUR. Caron C., Durand-Daubin M., (à paraître 2015), « Efficacité et justice des mesures de solidarité énergétique. Une régulation par les professionnels », in Cihuelo J., Grandclément, C. et Jobert A. (dir), Énergie et transformations sociales. Enquêtes sur les interfaces énergétiques, Paris, Editions EDF R&D / Lavoisier. Ph.D Environmental Psychologist, research engineer at the Transport and Environment Laboratory (LTE) of IFSTTAR. Pierre-François Chenu is GDF SUEZ’s Head of External Relations for Retail France. After working as a consultant specialising in customer services for Arthur Andersen (from 1995) and Ernst & Young, he joined the GDF SUEZ Group in 2011 to develop the Group’s activities in energy renovation. Communication : Works to save energy in private households: obstacles and drivers on the renovation pathway. Adeline Cherqui is research assistant at the School of Business and Engineering Vaud (Heig-VD) / University of Applied Sciences of Western Switzerland (HES-SO) within the team PlanI-D, a part of G2C Institute. She holds an MA in Sociology and a second one in urban planning. Her research fields deals with the identity and social trajectories in the dynamics of militancy. As part of the Gouvéole project, she’s currently a PhD candidate at the Faculty of Geosciences and Environment at the University of Lausanne (UNIL), leads by Florent Joerin and Jean-Ruegg. His thesis focuses on the dynamics of decision-making and the role of public participation in the development of wind projects in Switzerland. 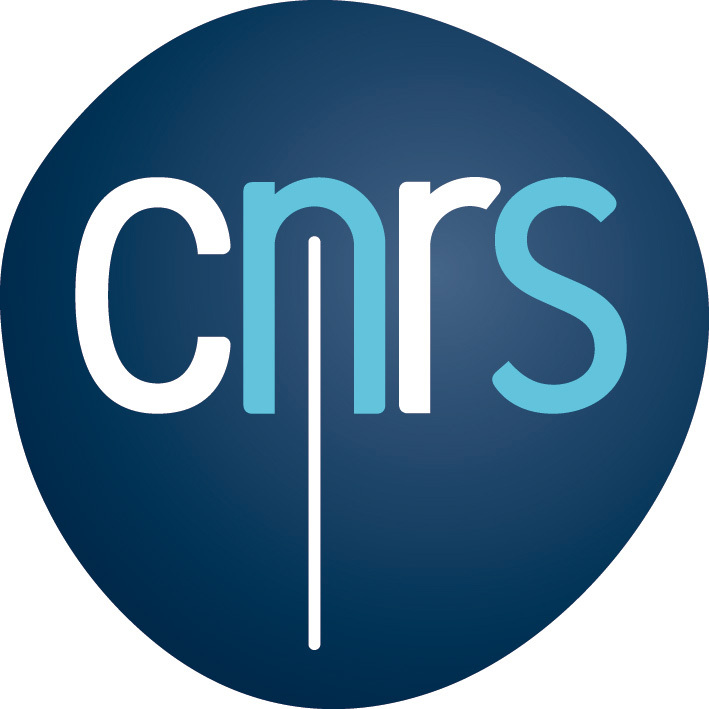 The Gouvéole project (Territorial governance of wind activity) is funded by the Swiss National Fund for Scientific Research (SNF) from 2014 to 2017. More information on this project: http://gouveole.heig-vd.ch. Communication : Energy leader and innovation process in co-ownership . Beatrice Cointe holds a PhD from the Ecoloe des Hautes Etudes en Sciences Sociales (EHESS). Her PhD thesis, written in CIRED and supervised by Alain Nadaï, explores the emergence of photovoltaics in France as triggered by feed-in tariffs. She participates in the ANR research project “Colléner” about socio-technical collectives in the energy transition. Communication : An instrument « overflowed by design : re§considering the dynamics of feed-in tariffs for photovoltaic electricity. Amélie Coulbaut-Lazzarini is a researcher in social sciences at the University of Versailles Saint-Quentin en Yvelines. Her PhD was in Sports Sciences and about sport organizations, territories, identities and governance. Her current research focuses on uses of energy and electromobility, as daily practices of users and in a perspective of efficiency wanted by designers. She also works on the governance of collaborative projects in which these themes are developed. She combines approaches from sociology of organizations, of innovation and some other part of sociology, with ethnographic tools and some perspective from social geography. Fabien Coutant, manager, 8 years of experience in energy and innovation consulting, Applied Sciences Master degree from Montreal Polytechnique and engineering degree from Telecom ParisTech. Stéphane Couturier has a Ph.D in Fluid Mechanics and Heat Transfer, he has integrated the Research Center VERI (Veolia Research and Innovation) in 2006. Specialist in the field of Energy, projects on which he works are related to the energy behavior of buildings and district heating networks. Modelling softwares, data analysis and new technologies are the tools used in the projects in order to control and improve the efficiency of the sites managed by Veolia. During his Master in Thermal Engineering from the University of Nantes, Arnaud Crétot visited over 50 energy projects in the EU and Asia as part of «Les Vagabonds de l’Energie», an NGO he cofounded to shed light on energy strategies. He worked as project manager of solar thermal and thermal building at «Alliance Soleil» and was thermal algorithm manager at Qivivo. When looking at energy systems, Arnaud sees the limitations of the technological approach. In his engineering works he strives for consensus between expert technicians and social actors alike. An acceptable, stable, durable and adapted socio-technical solution can only come from a successful consensus between all stakeholders, and depends not only on the technology itself. His socio-technical approach guides him on his path to develop and spread new energy solutions. Currently, Arnaud is CTO and scientific director at GoSol.org, an enterprise in solar thermal energy. Communication : De la performance énergétique.